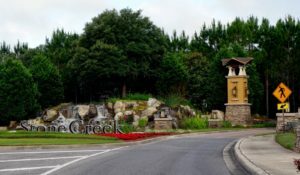 Del Webb’s Stone Creek is a gated active adult community in Ocala, Florida. This 55+ community is planned to include 3,800 homes, making it an ideal place for active adults who want the world-class amenities and lifestyle of a large central Florida adult enclave and without the crowds of nearby mega-retirement communities. The perfect blend of appealing home designs, top-notch amenities, and a robust lifestyle in a community that still retains a small-town feel make it an attractive setting for Florida retirement living.